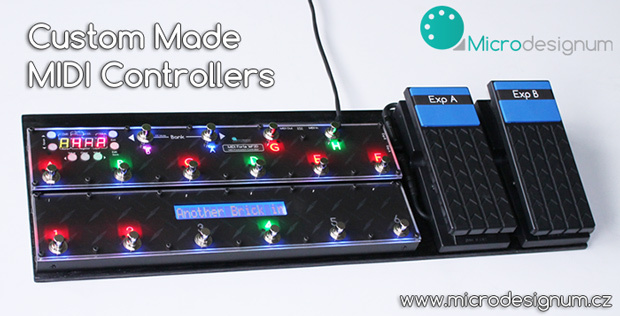 Our MIDI controllers help musicians in 35 countries and on 5 continents to comfortable use of the music gear. 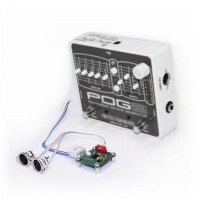 We produce electronic devices for music gear focusing on MIDI-based digital controllers - MIDI controllers, MIDI switchers, MIDI modules and other MIDI devices. During the ten years of our public activity we have helped musicians on five continents to achieve higher comfort when controlling the music gear. Our MIDI controllers are used in the USA, Canada, Mexico, Australia, Japan, the UK, Ireland, Germany, the Netherlands, Belgium, Finland, Island, Denmark, Sweden, Norway, Switzerland, Austria, France, Italy, Spain, Portugal, Greece, Turkey, Puerto Rico, Indonesia, Qatar, Hong-Kong, Israel, Brasil, Chile, Poland, Hungary, Romania, Slovakia, the Czech Republic. We are a family company and it is a pleasure for us to communicate with musicians, DJs and musical technicians. 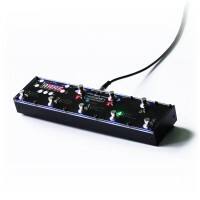 Universal MIDI controller with 6 footswitches and 4-digit LED display. 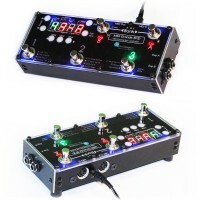 Universal MIDI controller with 8 footswitches and 4-digit LED display. 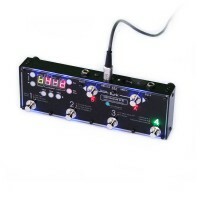 Universal MIDI controller with 5 footswitches and 4-digit LED display. © Microdesignum s.r.o. Czech Republic, Central Europe, European Union. We accept payments by PayPal. Shipping worldwide.